Before the priest, you might have to see a lawyer. Fiances and fiancees, take notes. The question has been popped and your Facebook statuses may have already been changed to read “engaged.” But aside from the proposal is one other decision that you will have to make: to have a prenuptial agreement or not, and if yes, what contents should it have. 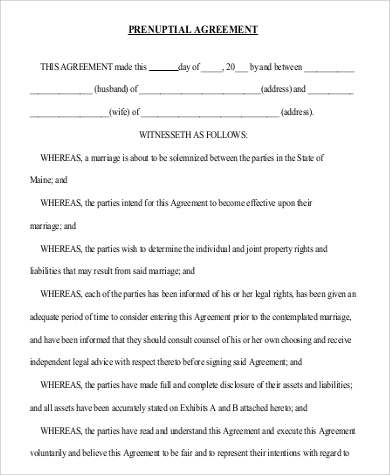 In 2015, United States news company, NBC Universal, reported that in a span of 20 years, there has been an exponential increase of couples undergoing prenuptial agreements prior to marriage; which means that many couples have already recognized that going through the legalities of a prenuptial agreement helps for a secure marriage. 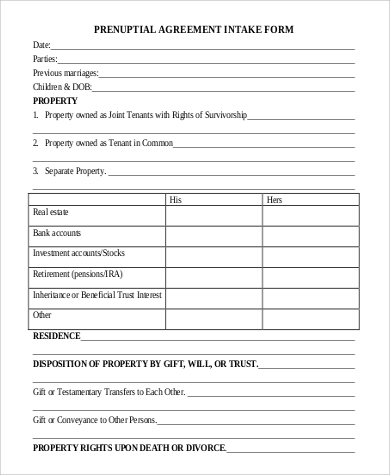 Take these Sample Forms as your reference to give you ideas about how you want your prenuptial agreement—or “prenup”—drafted. Throughout the entire creation of your prenup, consult with your legal counsel. Your lawyer has to be present at every step in the process. Use these samples as your guide to the contents, but always make it specific to you and your partner and with the guidance of an attorney. 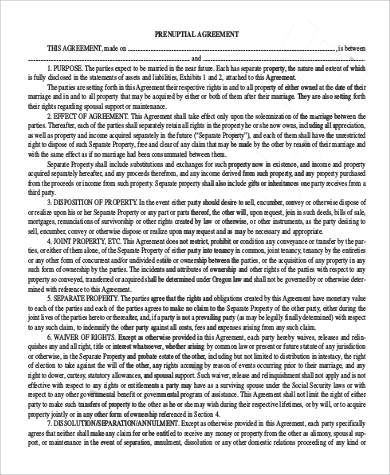 See these Prenuptial Agreement Samples for reference. Noted financial adviser, Suze Orman, once wrote that prenups are “unromantic, but important.” Sure, there wasn’t a prenup-drafting scene in The Notebook, or in any romantic film to wit. And if you are a romantic at heart that finds the concept of a prenup dreadful or even offensive, think of it this way: going through the practicalities of a prenuptial agreement helps keep the romance in the long run. It pronounces and clarifies details before a marriage, in an effort to avoid later confusion and conflict. 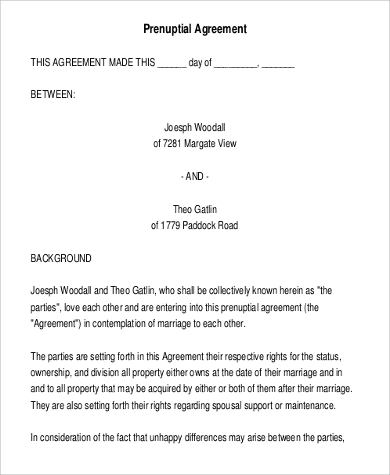 partners’ receipt of money or property in the event of death. 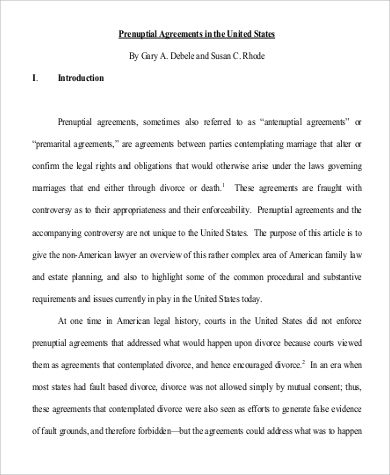 It is considered best for couples who are coming into union with individual properties and businesses, and with children from previous marriages. businesses. For other business-related legal documents, see these Sample Franchise Agreements, which are contracts between the franchisor and the franchisees of his/her establishments and ventures.